Bon Iver announce 2019 US tour, teasing ‘Blood Bank’ anniversary celebration? 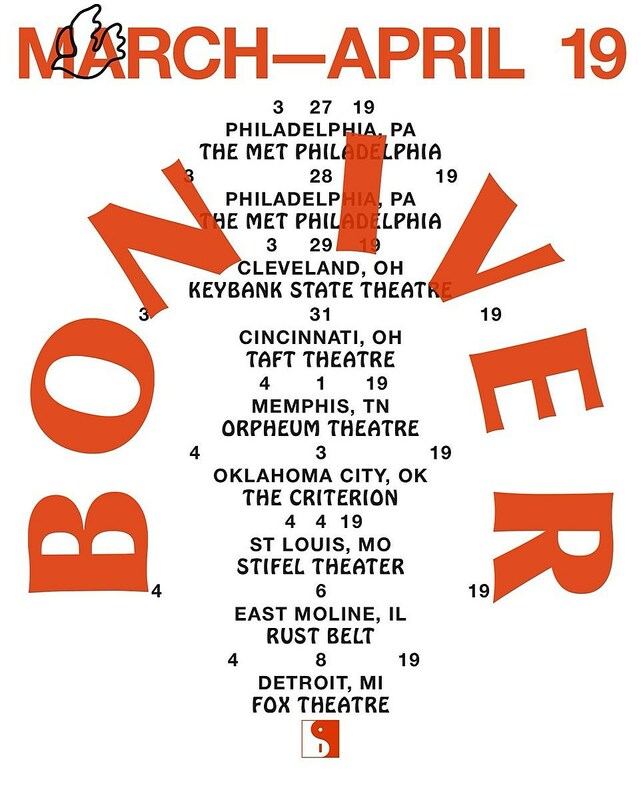 Having already announced a show at Milwaukee’s Summerfest with Lord Huron and Julien Baker, Bon Iver have now announced their first headlining US tour of 2019. It begins with two nights in Philly and then hits Cleveland, Cincinnati, Memphis, Oklahoma City, St. Louis, East Moline, and Detroit. Presale info here. Bon Iver also have some UK/Europe festivals coming up (including All Points East). More info on those here. All US dates are listed below. Bon Iver’s latest album is 2016’s great 22, A Million. No word on a followup yet. Meanwhile, Justin Vernon has also been busy with his band Big Red Machine who are playing Boston Calling and Primavera Sound. Bon Iver also posted a vague, potential teaser regarding the recent 10th anniversary of the Blood Bank EP. Do they have something planned to celebrate?